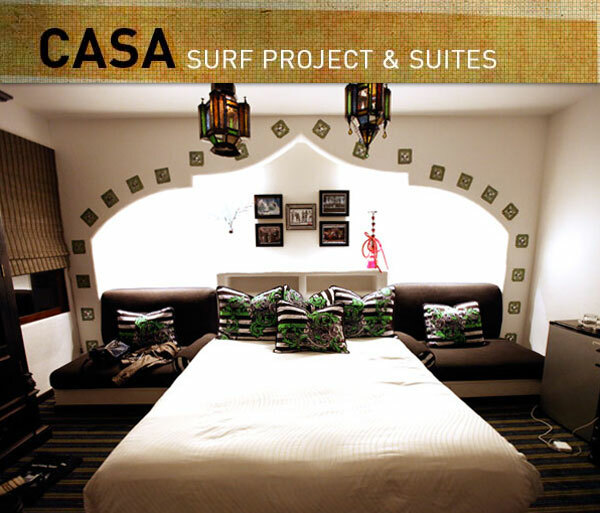 Laguna Beach ~ so many surf brands have their home base in the OC ~ and recently so many hotels with special designer suites ~ but somehow i never heard about the Casa Surf Project over at La Casa del Camino until now! 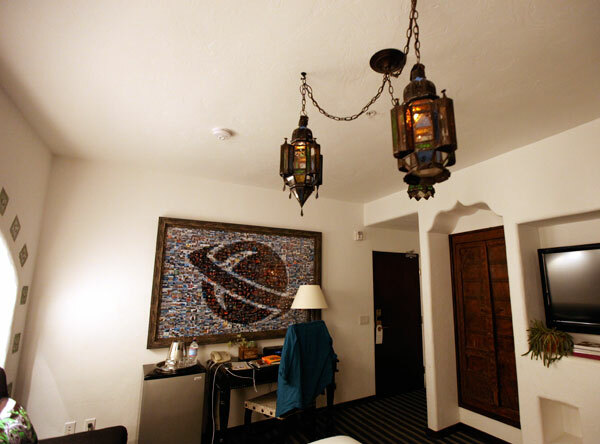 The hotel is perched less than a block from the beach, has an old spanish styled look and feel… and somehow the smell and hallways remind me of college… something frat house-y about it? 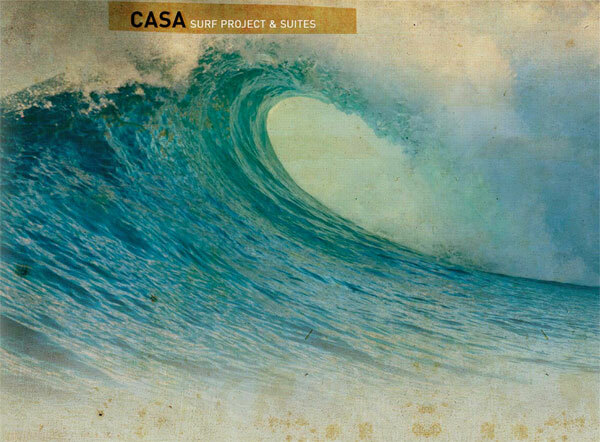 Or maybe that was the crowd too… fascinating thing about the Casa Surf Project is that they gave 10 brands and their designers 10 suites, and let them have their way with it - “Action sports icons like Billabong Men’s and Billabong Women’s, Rip Curl, etnies, Roxy, Quiksilver, L* Space, Lost International along with Riviera Magazine and Glaceau have teamed with Southern California’s finest designers to create the Casa Surf Suites with a portion of the proceeds from each room donated to key charities for the first year.” I love the moroccan inspired Lost room… how far they took the decor, and the furniture choices… you have to see how fun the lights looked at night! 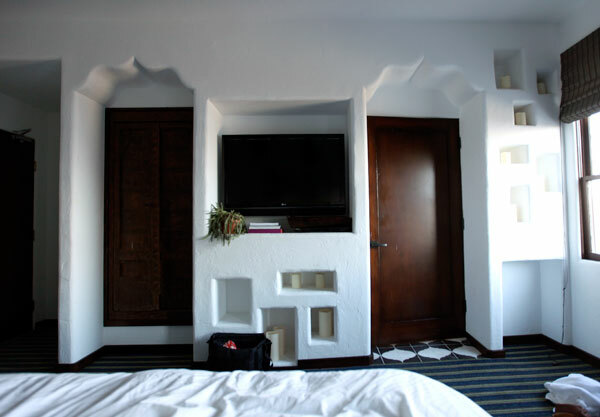 And the way they really customized the walls… so beautiful! Billabong and Quicksilver are my other favorites ~ see more pics on the next page, and see full information on each suite here! 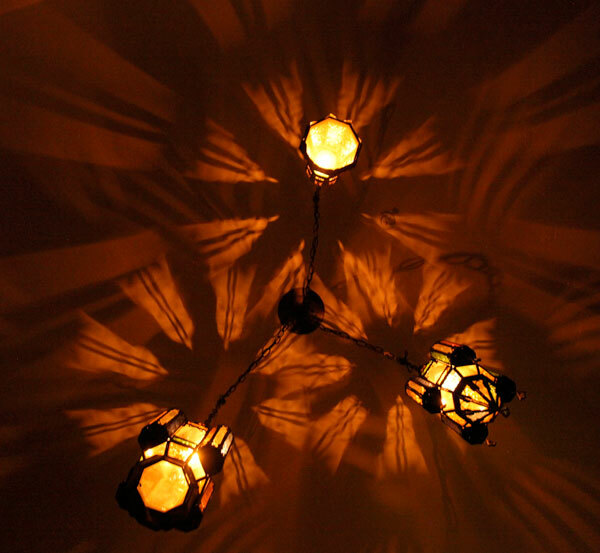 I adore the background image of their site!